For some fans of John Denver, Wednesday will be remembered as a Rocky Mountain High. For others, it will be the day the late singer was knocked from a pedestal for no good reason. 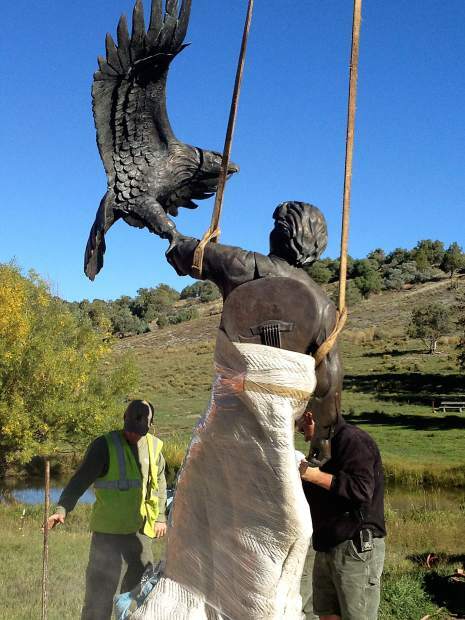 A larger-than-life bronze statue of Denver called “Spirit” was removed from the Windstar property in Old Snowmass on Wednesday and loaded in a truck for relocation. The statue — a fixture at the site since October 2002 — was donated to the Colorado Music Hall of Fame in Denver. A committee appointed to handle the former Windstar Foundation’s assets decided in July to donate the statue to the Colorado Music Hall of Fame. “They actually contacted us,” said Karmen Dopslaff, a member of the committee and former member of the Windstar Foundation’s board of directors. When Windstar was dissolved last year, the board of directors appointed the committee to handle certain assets such at artifacts, including the statue. The Windstar Land Conservancy and Rocky Mountain Institute sold the Windstar property earlier this year for $8.5 million, so the statue had to be moved, Dopslaff said. The property totals 957 acres, and there is a conservation easement on 927 acres. The remaining 30 acres isn’t protected from development. Dopslaff said the committee decided the statue should be moved to a place where the public will still have access to it. “I think the fans that love John and know John will be thrilled,” Dopslaff said. The fans who she dubbed “troublemakers” will probably be upset, she said. A civil war has been simmering for years between factions of Denver’s fans. The foundation’s board voted about one year to dissolve the organization because of poor financial condition and inactivity after Denver’s death in 1997. The land was sold in April. Critics contend the board gave up on Windstar Foundation too soon. The sale of the land added insult to injury, in their eyes. Critics of the board’s action started an online discussion of where the “Spirit” statue should go. Many supported moving it to the John Denver Meadow at the former Windstar property. The meadow remains under a conservation easement and accessible by the public despite the sale. Dopslaff said after considering the request from the Colorado Music Hall of Fame, that option was deemed the best for the statue because it will be accessible to more fans. Denver’s family didn’t want the statue placed in the John Denver Sanctuary in Aspen. Denver was the first person inducted into the Colorado Hall of Fame when it was formed in April 2011. He plays a prominent part in the displays. “We’re just thrilled that Karmen and Windstar have identified us as the proper place for Spirit,” said G. Brown, director of the Colorado Music Hall of Fame. The statue will be delivered Thursday to the hall’s current headquarters at The First Bank Center in Broomfield, a popular concert venue. Memorabilia held by the Hall of Fame is on display at the center. However, it isn’t certain yet if Spirit will be displayed there. The Colorado Music Hall of Fame is negotiating with the city of Denver to relocate its headquarters to a prominent spot, Brown said. A “major” announcement could be coming soon, he added. Wherever the Hall of Fame lands, the statue of Denver will play prominently in the plan, according to Brown. Moving the statue proved difficult. First, there were the expected challenges of dislodging a statue that large and heavy yet somewhat delicate. Spirit stands 15 feet tall and weighs 1,500 pounds. 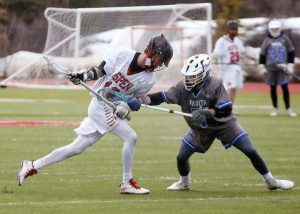 The likeness of Denver has his left arm outstretched and wearing a protective glove and sleeve. An eagle with spread wings is landing on his arm. A guitar is strapped to Denver’s back. Complicating the removal was the soggy ground and standing water around a concrete base and circular foundation as a result of the recent rain. A crew from Aspen Valley Landscaping was hired to do the heavy lifting. They used an all-terrain forklift to negotiate the swampy land around the statue and secure the statue’s arms in slings. T.J. Irrigation was hired to use a jackhammer to break up the concrete base of the statue, no easy task because it was well lined with rebar. Once the concrete was drilled into, Aspen Valley Landscaping had to use a special saw to cut through the steel bolts used to mount the statue. The combined work took from 8 a.m. until nearly 1 p.m.
Once the statue was ready to lift, the swampy conditions came into play. A truck used by Columbine Moving and Storage to haul the statue got stuck in the mud. The forklift also became temporarily bogged down. “He doesn’t want to be moved,” one crew leader said. The statue was eventually hoisted off the base, gently laid on its side on the ground and later packed into the truck for delivery to the Colorado Music Hall of Fame. Word of the move was kept quiet so that protesters wouldn’t turn out, Dopslaff said. Doug and Kathy Christine, of Glenwood Springs, both professed fans of John Denver’s, stopped by the Windstar property Wednesday around noon because Doug said he sensed something was going on. They said they were sad to see the statue go. Kathy said it is paramount that the statue be relocated to a permanent home, and not moved from place to place — though she preferred it stay at Windstar. It is also paramount that the statue be accessible to the public, she said. The Christines weren’t impressed that the statue will be a focal point at the Colorado Music Hall of Fame’s home. It should be kept in the Aspen area, they said. 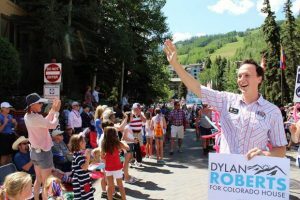 Brown said he was aware of the differences of opinion over various issues connected to John Denver and the Windstar Foundation. He believes the Colorado Music Hall of Fame ultimately will provide a good solution for the statue. 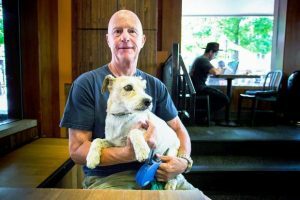 “I think when we open our permanent home, it’s hard to imagine all parties won’t be thrilled,” he said.